Keith Cylar was born on April 18, 1958 (to April 5, 2004). He was an outspoken activist, agitator, and advocate who was a co-founder and co-president of Housing Works, a leading HIV/AIDS service provider in New York City. A native of Norfolk, Virginia, Keith Cylar was raised by foster parents. While pursuing his bachelor’s degree in psychology from Boston University, Cylar first became aware of AIDS soon after it was identified in 1981. Three years later, he moved to New York City to enter a social work master’s program at Columbia University, from which he graduated in 1988. That same year, Cylar lost his first lover to AIDS, and the following year, he tested positive himself. 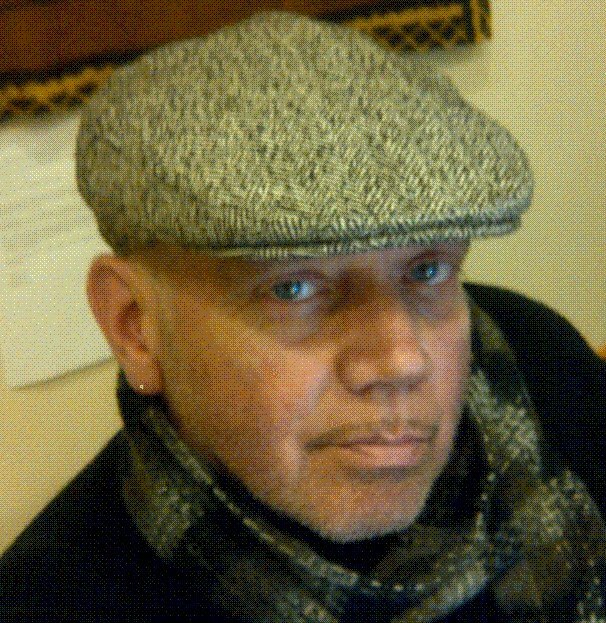 In the 1980s, Cylar worked as a therapist and social worker at a number of places, among them Creedmoor Psychiatric Hospital, the Lower East Side Service Center, and Montefiore Medical Center, where he served as a case manager in 1989. In 1987, Cylar happened upon some literature for AIDS Coalition to Unleash Power (ACT UP) while walking through the lobby of the LGBT Community Center on 13th Street in New York’s Greenwich Village. He attended an ACT UP meeting, and energized the room before leaving. Cylar quickly helped found its housing committee, a forerunner of Housing Works. For Cylar, ACT UP became a nonstop commitment. “I became part of a community and I watched my community disintegrate…I wanted to keep people from dying. I needed to fight against this thing that was killing us and killing me,” he told “The Villager” newspaper. In Cylar’s early activist days, he took part in noisy street demonstrations, and his advocacy at Housing Works also led to many confrontations with public officials. But Cylar had clout. He was widely popular among AIDS patients and activists, and he operated as someone who held great moral authority: he was saving lives that others, including government officials, health officials and non-minority AIDS providers, looked upon with indifference or distain, and he was immensely proud of what he was accomplishing against some of the most powerful leaders in New York City. His battles with the administration of New York City Mayor Rudolph Giuliani were legendary, and often resulted in Cylar’s arrest. He was frequently shown on New York television loudly proclaiming his cause as he was led away in handcuffs. Although Cylar was widely admired in activist circles for his confrontational style with government, religious, and business officials, he was also revered for his instinctive empathy with the everyday struggles faced by those living with HIV/AIDS, many of whom were impoverished, and struggling with multiple social and medical problems. Cylar formed Housing Works in Manhattan with three partners in 1990, including his lover Charles King, with whom he was both a co-founder and co-president at the organization. Together, this remarkable partnership helped to build one of the country’s largest AIDS self-help efforts, with an annual operating budget approaching $30 million. Trained as a clinical social worker, Cylar oversaw all client services, and supplied his own brand of practical business acumen. Militant in its tactics, community-based in its reach, and often the agency of last resort in the five boroughs of New York City, Housing Works found shelter for tens of thousands of people. The comprehensive approach of Housing Works offered social services like health and mental health care and referrals. It helped thousands of HIV+ people each month in its centers, which also offered job training and assistance in applying for other benefits. Always the clever businessman, Cylar saw to it that Housing Works income came from multiple sources, including private donations as well as fees for services covered by Medicaid and returns from its own nonprofit ventures. Millions are raised through its catering division, a used-book cafe in SoHo, and four thrift shops whose offerings include donated designer clothing. In the last few years of his life, Cylar and the organization became involved in projects such as research for the Rand Corporation on the cost effectiveness of HIV services. He was an investigator in a national venture with Beth Israel Medical Center to provide minority patients with better access to AIDS clinical trials. The Keith D. Cylar AIDS Activist Awards are given in his honor. Cylar lived with the HIV virus for more than 20 years. He attended an AIDS conference in Houston in early April of 2004, and after returning to the East Village home he shared with long-term partner Charles King, he apparently went to sleep, and passed away. The immediate cause of death was cardio arrhythmia. Cylar was 45 years old. We remember Keith Cylar, a true and fearless warrior who fought so hard to save the precious lives of others.